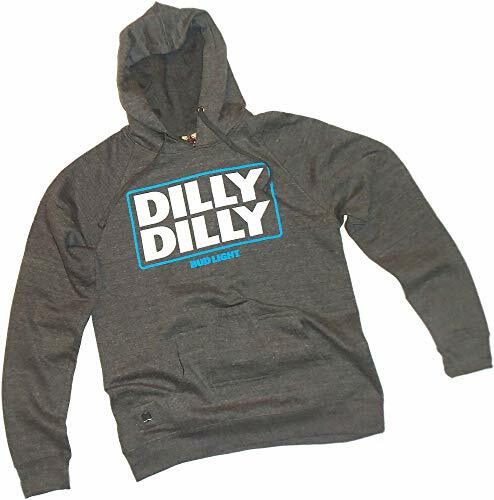 This adult hooded (hoodie) Dilly Dilly Bud Light fleece sweatshirt is an officially licensed Anheuser-Busch product from Brew City Brand Apparel. The sweatshirt features their cool Dilly Dilly Block Letters design printed on soft polycotton preshrunk fleece. In addition to standard front pouch pockets, this pullover hoodie includes a center pouch designed to hold your favorite bottled beverage and a built-in metal pop-top bottle opener. This is the ultimate tailgater sweatshirt! 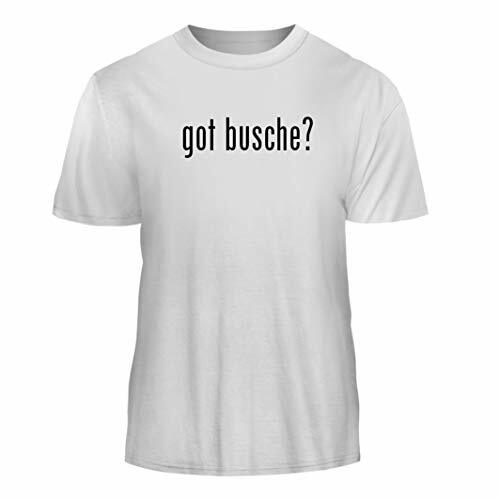 This adult Dilly Dilly Bud Light T-shirt is an officially licensed Anheuser-Busch product from Brew City Brand Apparel. 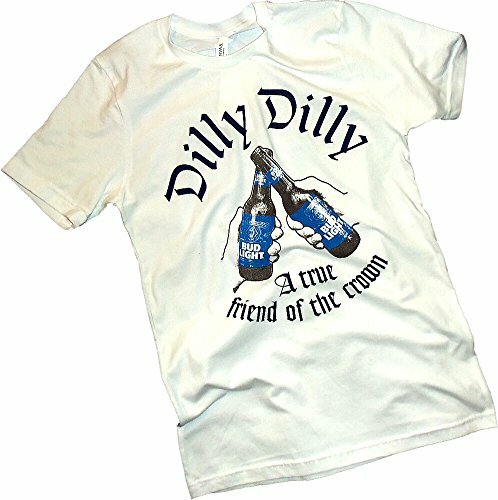 The shirt features their cool Dilly Dilly "A True Friend Of The Crown" design printed on soft 100% cotton. This design is a "distressed print" to provide a vintage look. 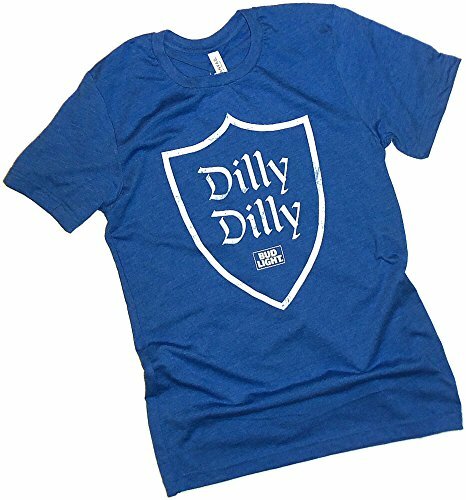 This adult Dilly Dilly Bud Light T-shirt is an officially licensed Anheuser-Busch product from Brew City Brand Apparel. The shirt features their cool Dilly Dilly Crown Letters design printed on soft polycotton. This design is a "distressed print" to provide a vintage look. 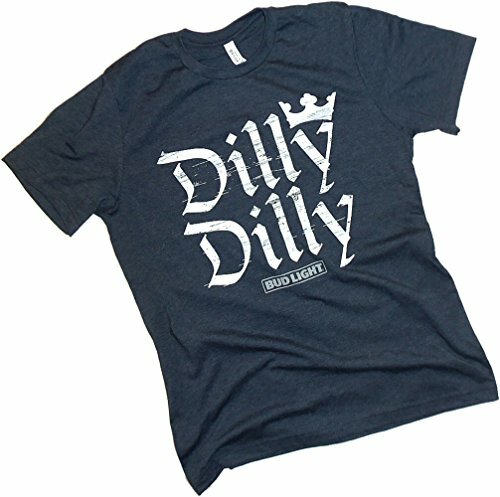 This adult Dilly Dilly Bud Light T-shirt is an officially licensed Anheuser-Busch product from Brew City Brand Apparel. The shirt features their cool Dilly Dilly Shield design printed on soft polycotton. This design is a "distressed print" to provide a vintage look. 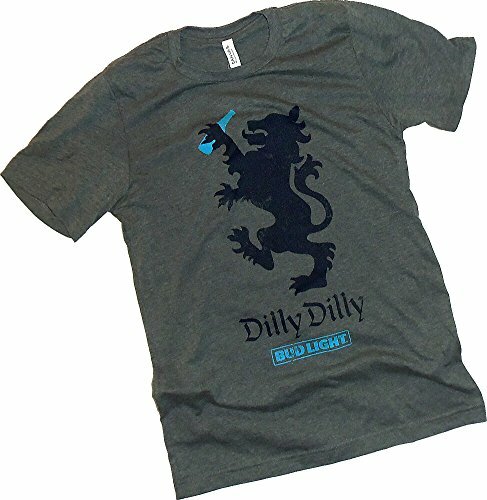 This adult Dilly Dilly Bud Light T-shirt is an officially licensed Anheuser-Busch product from Brew City Brand Apparel. The shirt features their cool Dilly Dilly Symbol design printed on soft polycotton. This design is a "distressed print" to provide a vintage look. 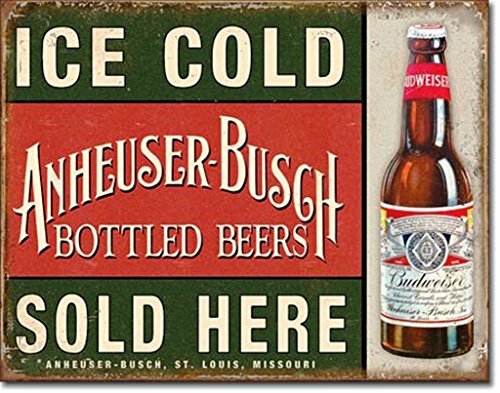 This is a great Beer collectible. This is the glass mug that has a great look. 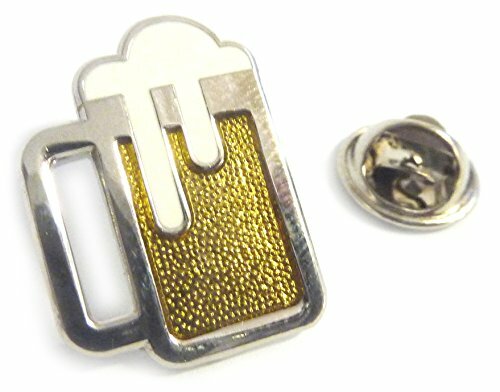 The foam is a solid colorfill and the beer is a translucent colorfill with a textured metal base which looks like bubbles and liquid. 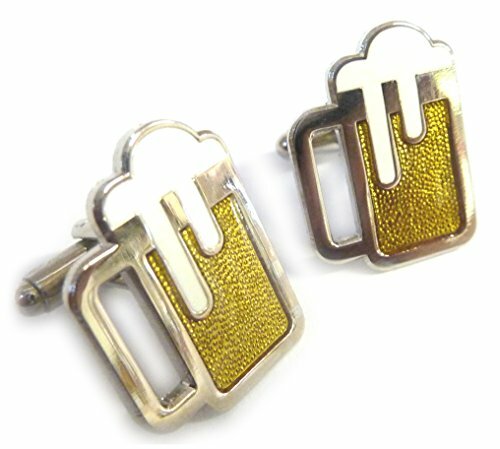 Great for any occasion and perfect conversations starter and gift. 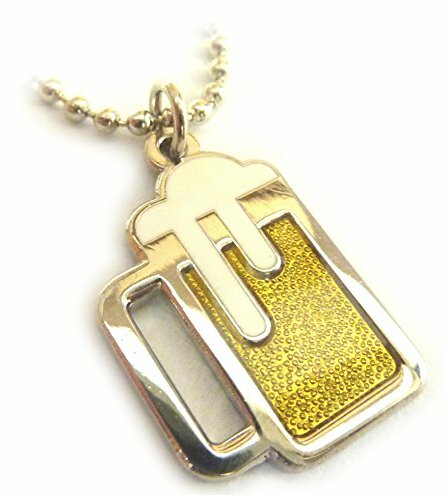 Get yours today!!! Made of tin with rolled, hemmed edges. Each corner has a pre-drilled hole for ease of hanging. Durable weatherproof finish with vibrant colors and graphics. Measures 16" tall x 12.5" wide x 1/16" depth. MADE IN THE U.S.A.